Problem solving skills. Critical thinking skills. Engineering know-how. Teamwork. 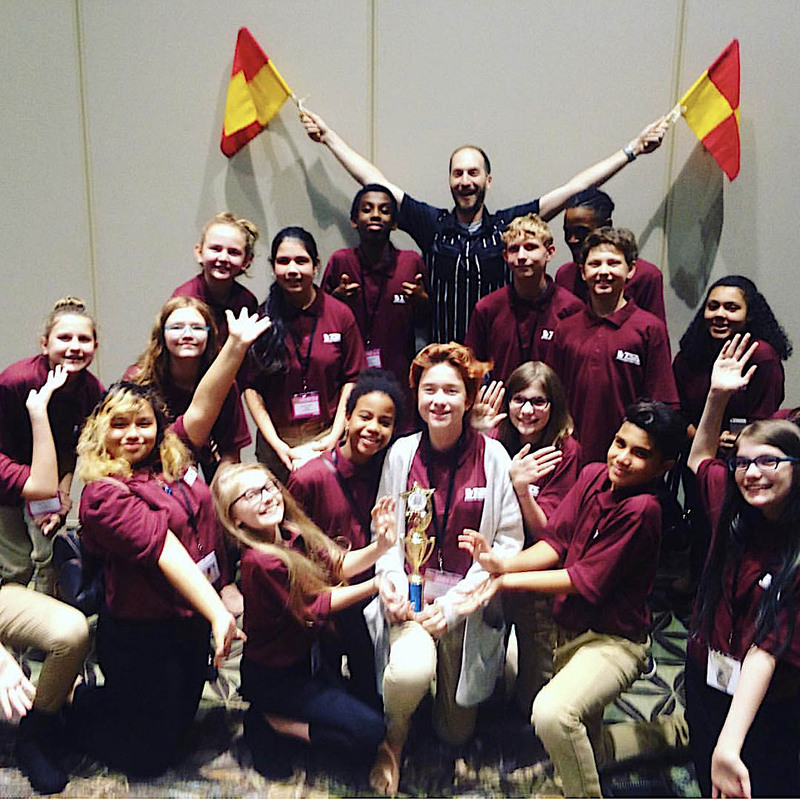 These are just a few things one DeKalb County School District (DCSD) robotics team channeled when claiming a recent victory at Jekyll Island. Tucker Middle School’s robotics team, TMS Robotics, recently claimed the Champion Award at a FIRSTLEGO League event on Jekyll Island. As winners of the Champion Award, TMS Robotics was considered the best overall team of the competition. The team will also be eligible to compete in upcoming regional and state competitions following the victory. Clinton, with fellow coaches Nathan Williams and Eric Knapp, said her team—made up of Brooke Slone, Skylar Slone, William Vickrey, Jayden Mcliwaine, Ayden Whitely, Rebecca Larkin, Kylie Slone, Parsa Arani, Skyler Roberts, Kathy Reyes-Gomez, Obsineeti Muddle and Jade Lowery—was yelling in jubilation and crying with happiness upon being named the best at the competition. FIRST LEGO League robotics competitions involve participating in a field exercise, developing a unique solution to a particular problem, and using the league’s core values. Past competitions have revolved around nanotechnology, the environment, climate, transportation, and more. This year, students’ projects revolved around outer space, titled “Into Orbit.” Each team addressed a problem having to do with space, such as a spacecraft, space food, colonization, the moon, other planets, and more. TMS Robotics was obviously up for the challenge. Clinton said the team’s natural ability to work together, dole out tasks, and appoint leadership made all the difference. At times, dividing parts of the project has become necessary, according to Clinton. Since TMS Robotics spans all grade levels, students are on different schedules. If students are not completely organized and communicative, this can create problems. Just being part of TMS Robotics has increased the team’s capabilities in other classrooms. Forming timelines, presenting, working without much direction, and operating with limited guidelines translates well to other subject areas. In addition, robotics participants obtain real-world application of science, technology, engineering and mathematics (STEM) principles. Where such motivation comes from is hard to pin down. According to Clinton, robotics students are typically more motivated than the average student, but certain students become motivated by simply participating.